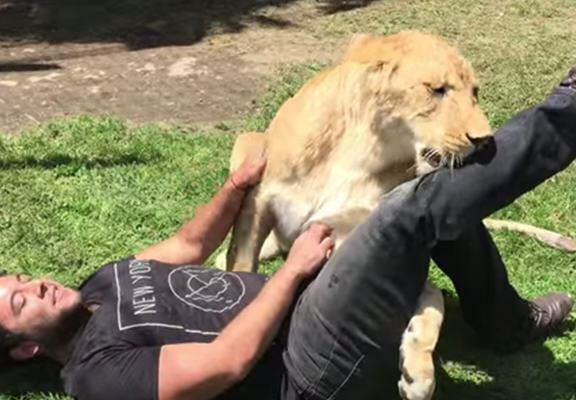 Everyone enjoys seeing a feel good video when they’re hungover, and this footage of one lioness being reunited with the owner who raised her qualifies at the top of the list. Kiara, the lioness, was raised by Adolfo, and despite now being significantly bigger and slightly scarier than she was as a cub, Adolfo enters into her enclosure with no fear whatsoever. The reason Adolfo has no fear is simple – Kiara sees him as the person who raised her, and paces around waiting for him to arrive, excited. 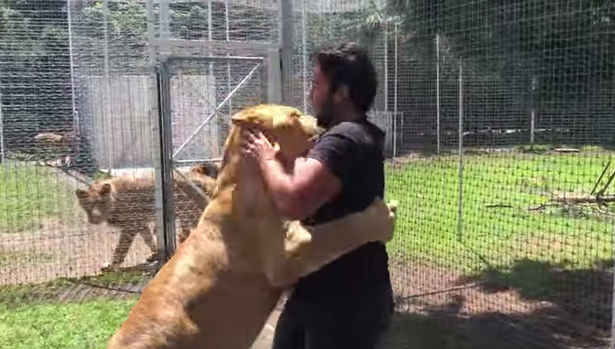 Once he enters the enclosure, she nearly knocks him over with the force of her hug, and their bond is amazing to see. The video was posted to YouTube by The Black Jaguar White Tiger Foundation, and has gone viral. YouTube users filled the comments section, stating how ‘incredible’ and ‘wonderful’ they felt the video was, and it’s hard to disagree.